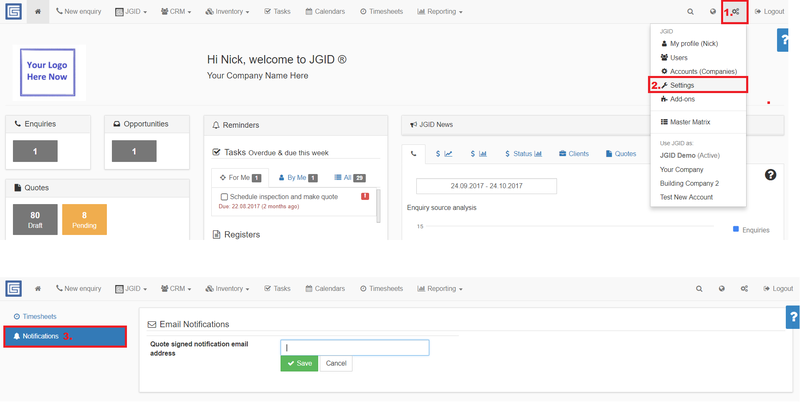 Question: We receive a lot of electronic approvals for the quotes sent out of JGID. Now we need to change the email address to which those notifications are forwarded. How is this done? Answer: Click on the “three-cog” icon, upper right corner on screen and select Settings. From the next panel, click on the Notifications button on the left side of the screen and proceed with editing the email address!